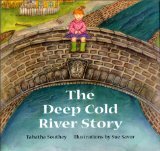 Imagine a deep, cold river running through a small community. One day, for no apparent reason, the river overflows its banks and floods the entire town. Many possible solutions to the unrelenting flooding are proposed but it takes a little girl to solve the problem and save the town. 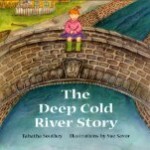 The Deep Cold River Story features a positive message about bedtime stories and offers a great opportunity for children to propose their own creative solutions to the flooding problem.